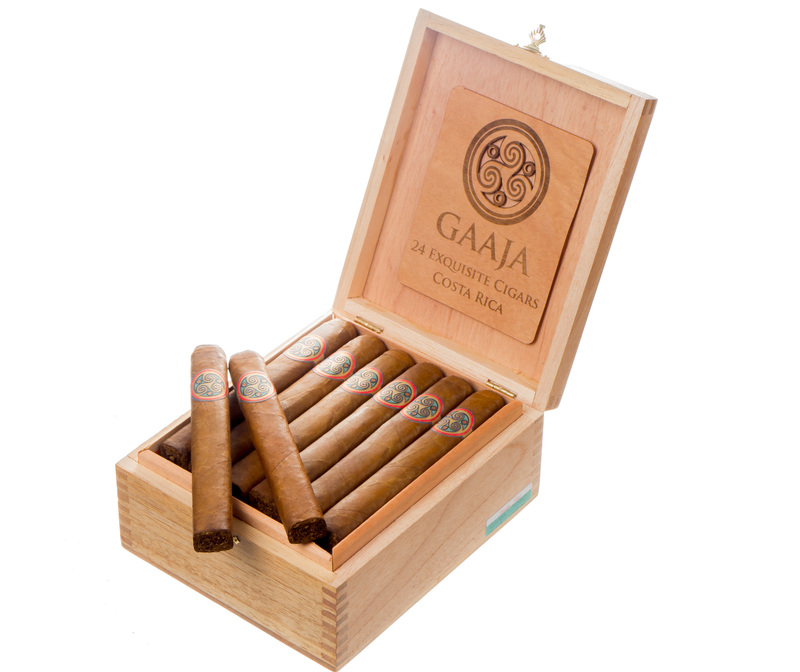 The Gaaja (pronounced : Gaa-ya) is a new release that comes from Bombay Tobak, the maker of the MBombay brand of cigars. The cigar is the first box-pressed offering that is a part of the Bombay Tobak portfolio. The unique feature about this cigar is that it uses tobaccos from Paraguay, a country not known for producing tobacco for premium hand-rolled cigars. As for the name Gaaja, it traces back on the Sanskrit name “Gaja” (pronounced guy) which means elephant. Recently I’ve had an opportunity to smoke the Gaaja. MBombay and Bombay Tobak have been producing some excellent cigars. With the Gaaja, Bombay Tobak takes things to a new level introducing what could be its best release to date. Bombay Tobak is owned by Mel Shah. Shah is retailer who owns Fame Wine and Cigars in Palm Springs, California. After retiring from the IT industry in 2001, Shah opened his shop and in 2014 entered the manufacturing side on a nationwide basis. For his brand, Shah produces his cigars out of Costa Rica. 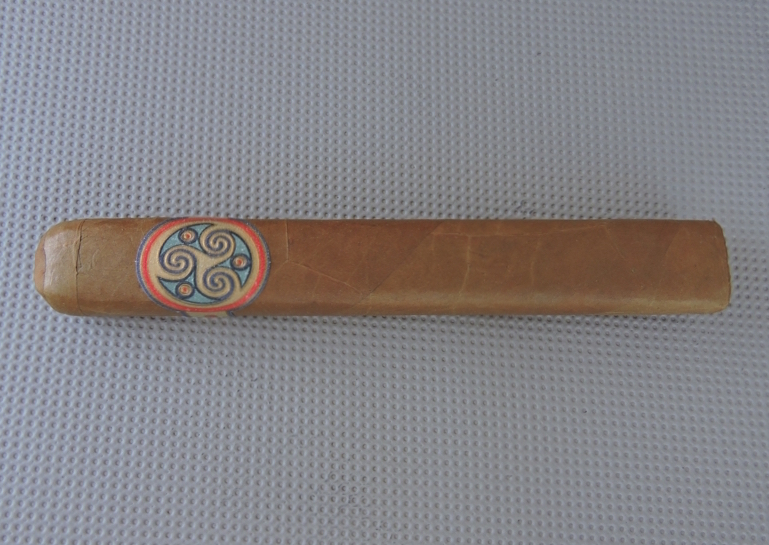 Gaaja is the sixth line in the Bombay Tobak portfolio joining MBombay Connecticut Classic, MBombay Corojo Oscuro, MBombay KeSara, MBombay Mora, and MBombay Habano. On Episode 191 of Stogie Geeks, Shah was a featured guest and explained the story around the Gaaja and its blend architecture. 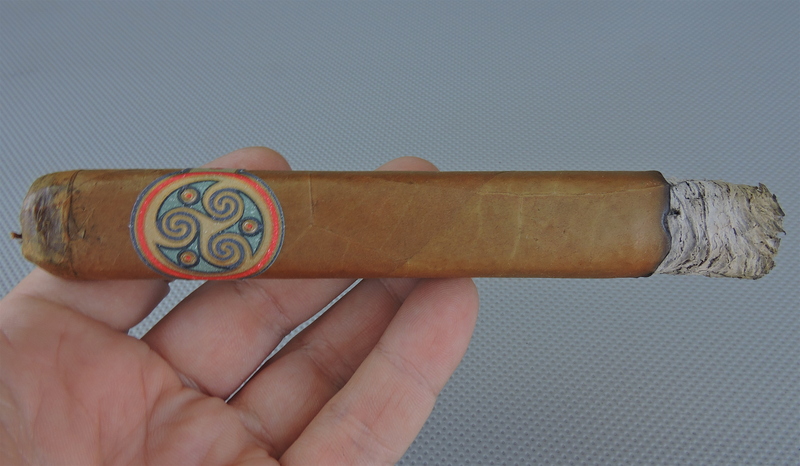 Without further ado, let’s break down the Gaaja and see what this cigar brings to the table. -Viso: Ecuador criollo 98, Paraguay Hybrid Habano 2000, Dominican Criollo 98. According to Shah, Gaaja has been a project in the works for over 3 years (thus the connection with the name elephant to represent the slower and patient pace when developing this blend). 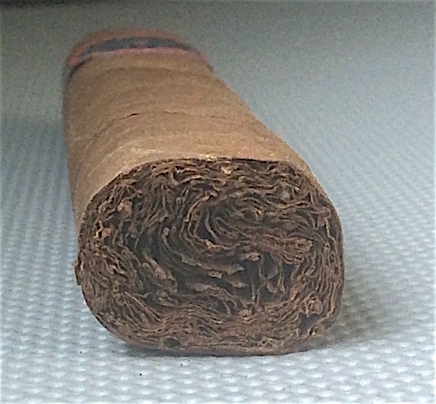 The hybrid wrapper is a combination of a Connecticut Seed crossed with Cameroon grown in Ecuador using the Desflorado technique. This is a technique that involves removing the tobacco flower resulting in nutrients being passing to the leaves; which in turn results in more flavor. There were three vintages of the wrapper produced. Vintages from 2002 and 2003 were considered until finally the 2004 vintage was selection. The Paraguayan viso is definitely something new. For the most part, Paraguayan tobacco is used in cigarettes. The flavor imparts of an herbal note with less spice. In terms of the Peruvian tobacco, that is a staple across the whole MBombay portfolio as it also is found in the other five lines. Gaaja will be released in one size – 6 x 54 Box-Pressed Toro. The cigar is packaged in 24 count boxes. The box-press is actually slightly rounded on one side. This was done to balance to draw. During development, when all four sides were box-pressed , the draw became too tight. On the other hand when the tobacco was removed, the draw became more loose. By rounding it on one side, the result is there is enough airflow while creating the right amount of resistance. This is possibly one of the most beautiful wrappers I have encountered. The wrapper has a butterscotch color to it. There is a light amount of oil on the surface that enhances the color a little more. The wrapper is quite smooth. There are a couple of thin visible veins and any wrapper seams are on the thin side. The box-press is firm with no soft spots. The band was designed by Shah’s wife (who designed the other MBombay bands). With the Gaaja band, it is a departure from the Indian mosaic style band found on the other five MBombay lines. The band features colors to represent the four elements: Red (Fire), Gold (Earth), Green/Blue (Water), Dark Blue Swirls (Wind). The left and right side of the band is gold with blue trim. On the left side of the band is the text “Bombay Tobak” in red cursive font. The right side has the text GAAJA: in red print font. Prior to lighting up the Gaaja, I went with my usual choice of a straight cut to remove the cap. Once the cap was removed, I moved on to the pre-light draw. The dry draw delivered wood and floral notes. I also picked up a slight cream note. Overall I considered the pre-light draw of this cigar to be satisfactory. At this point I was ready to light up the Gaaja and see what the smoking phase would have in store. The Gaaja started off with notes of wood, sweet natural tobacco and herbal notes. There was also a white pepper note that was present on the initial draws, but quickly dissipated. As the flavor profile took form, the herbal and sweet natural tobacco notes became primary. The wood notes transformed to a cedar sweet-spice in the background. There also was a creamy texture present in the background. Meanwhile the retro-hale delivered several notes – including black pepper as well as an additional layer of herbal and cedar notes. I found the retro-hale to be a key component when smoking this cigar as it will bring out quite a bit more of the complexity. During the first half, the herbal and natural tobacco notes remained primary. There was a really nice synergy between these notes. This synergy made this flavor combination very unique and quite enjoyable. Meanwhile the cedar notes remained secondary. The creamy component floated in and out of the forefront. By the start of the second half, the herbal and natural tobacco notes were still primary, but I now gave a slight edge to the herbal notes. Meanwhile, the creamy component was once again in the background with the cedar notes. Things changed up during the last third of the Gaaja. The natural tobacco notes took control. The herbal, cedar, and cream notes were now in the background. There was now also a subtle mineral component present at the end – which actually worked well with the other flavors in the cigar. The spice component never overpowered during the late stages like it will on many cigars. When the Gaaja finished up, it had a firm, cool nub that was quite the finger-burner. From a burn perspective, the Gaaja scored quite well. The burn path remained straight from start to finish and was never in danger of tunneling nor canoeing. The burn line itself had some small jaggedness along the way, but this really didn’t result any excessive touch-ups that were necessary. The resulting had a silver-gray color. I found the ash to be tight and firm – coming off the cigar in clean chunks. The combustion was excellent as the Gaaja delivered a ideal burn rate and ideal burn temperature. The draw fulfilled the goal described when we described the box-press shape – namely balancing the right amount of resistance with the right amount of open-ness. This Gaaja is going to also produce a nice amount of smoke along the way. The Gaaja does an excellent job at maintaining an equilibrium between the strength and body. Both attributes started out medium. The strength and body increased very slowly along the way. While both attributes are stronger toward the end of the cigar, I still found they didn’t quite cross into medium to full territory. One additional point, both the medium strength and body of the Gaaja worked extremely well for the flavors produced. This cigar really fired on all cylinders – great construction, great flavor, and a nice amount of complexity. The added bonus was that this was a cigar that delivered some of the unique flavors along the way – especially from the herbal component. I have not had a chance to ever smoke anything (that I know) with Paraguayan tobacco, so it’s a little bit of an intangible in terms of putting my finger on what was so different. Bombay Tobak has produced some excellent blends, but by far this one is the company’s masterpiece. Finally, this definitely a type of cigar that you want to smoke uninterrupted to get the most out of it. For each of the three Gaaja cigars I smoked I picked up something new each time. This is a cigar I could recommend to either a novice or experienced cigar enthusiast. As for myself, it’s one I would smoke again and it earns MBombay and Bombay Tobak it’s first Chuck Norris rating. Excited to try some Paraguay grown tobacco…very unique. This cigar is one of the best you can buy. It’s a top-5 all-time cigar. As good as the best Cubans, Fuentes, and Padrons. I bought a box and have enjoyed every one so far. Burn and Draw,unbelievable ,new to cigar smoking,thinking I got lucky founding this cigar so early on my journey .